Find out what it takes to be a top WWE Superstar in DK Readers L2: WWE: How to Be a WWE Superstar. Discover how the WWE Superstars prepare for the ring, work their way to the main event, and become WWE Champions. 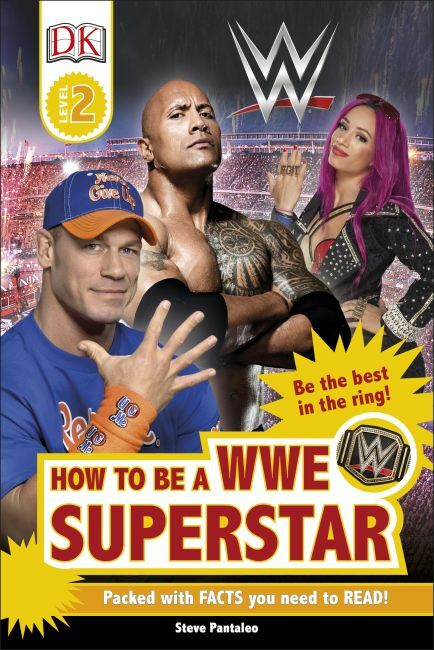 With inspirational photos of some of the most beloved Superstars, young readers will love diving into the world of WWE with DK Readers L2: WWE: How to Be a WWE Superstar. All WWE programming, talent names, images, likenesses, slogans, wrestling moves, trademarks, logos and copyrights are the exclusive property of WWE, Inc. and its subsidiaries. All other trademarks, logos and copyrights are the property of their respective owners. © 2017 WWE, Inc. All Rights Reserved.